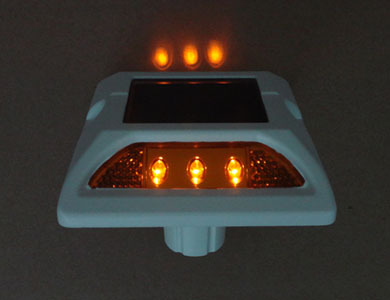 Knowing more knowledge about the solar road stud with foot, let’s observe how the product is produced. The worker uses a electric tool to screw down the screws. Pay more attention to the way he install the screws. First, he holds the foot of the solar road stud and installs the screw in the upper left side, and then the screw in the diagonal line of the first, and then the screw on the bottom left side, and so on. He installs all the screws in this sequence. 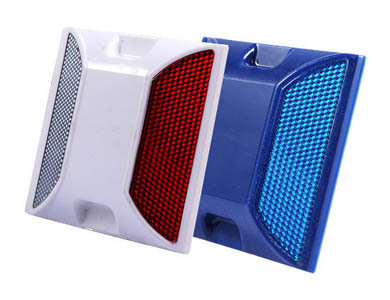 The reason why this way is applied is that the solar road stud can be fixed firmly, and the back of the solar road stud can be connected tightly with the upper part. After finishing this, a solar road stud is produced and can be put into market after strictly examined.